Like the schoolyard weakling who has a powerful friend, the Hamas got into the habit of unexpectedly delivering to Israel a rather painful though hardly substantial blow and quickly hiding behind their much larger neighbor, Egypt. 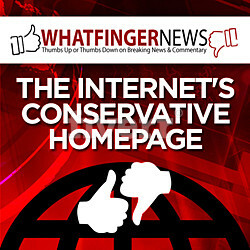 Israel, wishing to avoid an escalation, refrained from action. And that’s how the “quiet in return for quiet” formula was born. Except that as far as the Hamas and its Iranian patrons were concerned, the formula included slowly ratcheting up the significance of the initial blows, forcing Israel to swallow more and more humiliation, making it accustomed to ever increasing levels of pain, in short, boiling it like the proverbial frog. When, several weeks ago, the Hamas fired its first “mistake” rocket into central Israel, there was no damage or casualties, and the formula worked. So of course, they went for another “oops I did it again” moment and fired another long-range rocket deep into Israel, this time demolishing a family home, wounding several family members, and only by sheer luck stopping short from wiping the family out. Last night, the IDF started methodically demolishing the Hamas infrastructure in Gaza. This was done from the air, the ground, and the sea. 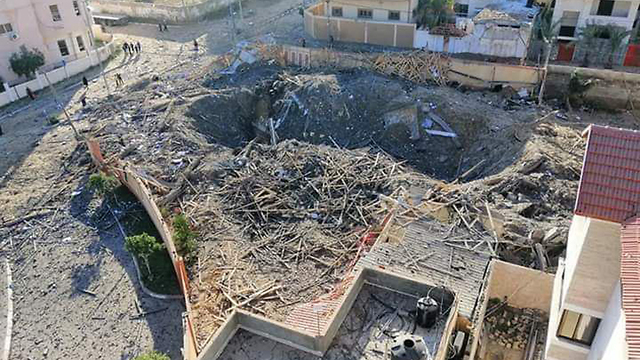 The targets included major military installations of the Hamas like the headquarters of their naval unit, but also high-visibility symbolic targets like their leader Hanniyeh’s office building. These buildings are the symbols of the Hamas rule in Gaza. By eradicating them from existence, Israel was sending a very clear message to the Hamas and the people of Gaza alike that the Hamas, including its senior leadership, were not immune from repercussions. 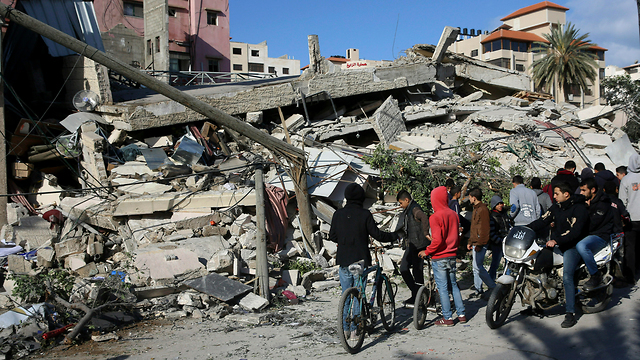 Perhaps most tellingly, Israel destroyed targets that were mixed civilian and military use. Targets that Israel had no business knowing about. These were buildings where the Hamas secret police worked and other buildings of that nature. By doing so Israel sent Hamas the message that its “secrets” were well-known to it. Attacking these buildings also blew the cover that they had enjoyed inside of Gaza; every Gazan knows that the IDF does not attack civilian targets. The Hamas, playing by the old rule book, mostly held its fire, shooting only a few dozen short-range rockets towards Israeli border towns and villages. This fire was symbolic and ineffective. At the same time, Hamas and other terror factions in Gaza published on all their communication channels the news that an Egyptian-brokered “cease fire” had been negotiated and was no in effect. This was supposed to put an end to the Israeli attacks, except this time it didn’t. They have tried it on no less that three occasions during the night, all to no avail. Rather than hurriedly fire munitions more for show than for effect, rather than try to put on a public relations show before the inevitable “cease fire”, Israel, ignoring the Hamas cease fire announcements, continued to slowly and methodically degrade its infrastructure. 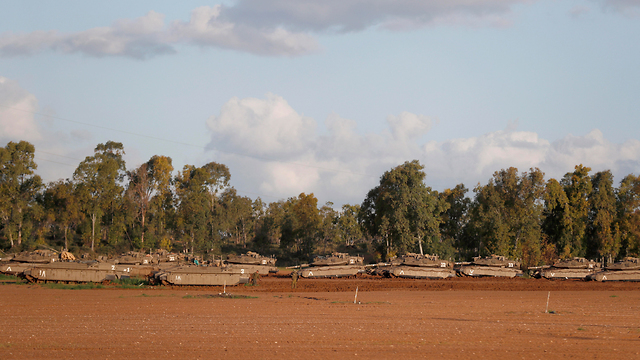 The deployment of two regular divisions, the infantry Golani and the storied Number 7 armor division to the Gaza border as well as a limited reserve call-up for air defense and intelligence gathering signaled to Hamas that Israel was standing ready to escalate its response, if necessary with a ground maneuver deep into Gaza. The usual threats issued by Hamas and the factions, warning Israel of a massive response to any serious attack very visibly proved to have been nothing but a bluff. Hamas has received major blows without giving the order to fire large number of rockets in retaliation. The loss of face for the Gaza terror leaders as far as their own citizens, the Iranians, and the rest of the Muslim world are concerned should not be underestimated. With no Israeli casualties or property damage and with life in southern Israel returning to normal, Israel must be seen as the clear winner in this round. This is a win that may push the Hamas into a significant escalation of its regularly scheduled border rioting this Friday. This scenario makes it likely that the recently deployed ground forces of the IDF will hold their positions through the rest of the week, keeping the threat of a ground action in force a real possibility. Tentatively, a new and more desirable from the Israeli point of view “we won’t escalate if you don’t” formula has been established by Israel. Whether it holds is anyone’s guess. Those who leave others alone will be left alone. The opposite is also true.